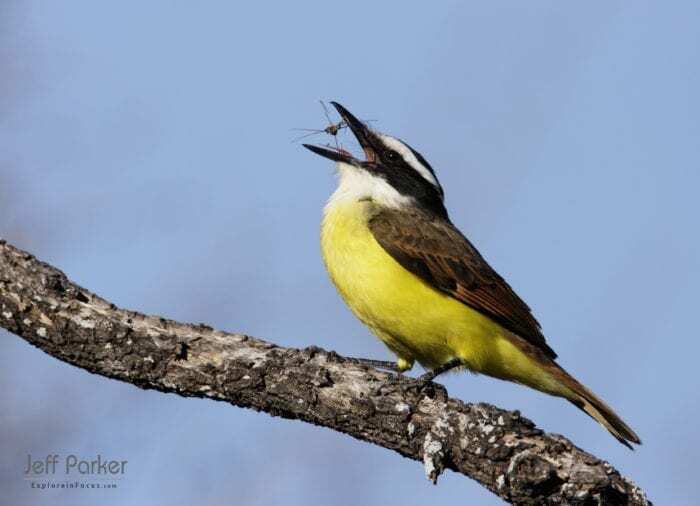 The Great Kiskadee is just one of the many special animals that live in Santa Ana NWR. I am strongly against the construction of the do-nothing border wall, particularly in the few remaining natural areas of the Lower Rio Grande Valley such as Santa Ana National Wildlife Refuge. Mary O put on her journalist hat and interviewed me about the subject. 1) Why do you think Santa Ana NWR is such a big deal? Why not put a border wall there? To me all National Wildlife Refuges are a big deal. The reason is right in the name: a refuge for wildlife. Established in 1943 for the protection of migratory birds, Santa Ana NWR is particularly important due to its location along the Rio Grande. In 1967, Santa Ana NWR was designated a Registered Natural Landmark. In recognition of that, this “crown jewel” of the National Wildlife Refuge System was designated a Registered Natural Landmark in 1967. Registered Natural Landmarks are sites that offer outstanding biological resources. They are designated by the Secretary of the Interior for their rarity, diversity, and value to science and education. Today, 95% of the native habitat in the Lower Rio Grande Valley (LRGV) is gone. The Valley (as it’s known) hosts 11 unique habitat types from tidal wetlands, Tamaulipan thorn forest, to riparian forests. More than 1,200 species of plants, 500 species of birds, 200 vertebrate species, and over 300 species of butterflies can be found in The Valley. Rare and endangered species, too, including the ocelot, the burrowing owl, Texas tortoise, and Texas indigo snake. When it comes to the riparian habitat of the Rio Grande River, 99% of the habitat is gone. Yes, only 1% remains. And part of that is on Santa Ana NWR. Is it really asking too much to save the tiny, irreplaceable portion that we have left? At just 2,088 acres, the refuge provides home to an astonishing amount of biodiversity. Many of the plants and animals here are found nowhere else in the United States. Because of that, I like to say that this is the only place to see these species without a passport. Santa Ana NWR is one of the world’s top birding destination thanks in part to the fact that two major flyways converge there. By attracting an average of 165,000 visitors per year, Santa Ana NWR alone contributes an estimated $462 million annually to the local economy. This region -— one of the poorest in the nation -— needs every economic boost it can get. With an annual average income of $19,846 in the Mission-Edinburg-McAllen area and $20,047 for Harlingen-Brownsville, it’s easy to see why these communities are rated the 6th and 7th poorest places in the United States. 2) If you don’t want a wall then you must think it’s okay for people cross the border illegally, right? Not at all. I don’t condone illegal immigration one bit. But I also don’t feel that border security and conservation should be an either-or proposition. And I definitely don’t condone recklessly spending my hard-earned tax dollars and destroying key non-replaceable habitat when we can tackle the problem in other—more effective—ways. If we’re really serious about putting an end to illegal immigration, why aren’t we cracking down harder on the employers who give undocumented immigrants jobs? With all the tough talk on deportations and wall-building, there hasn’t been a single executive order on cracking down on employers who hire those here illegally. Without getting tough on the employers who hire those who come here illegally, you have to ask yourself: is our government really serious about ending illegal immigration through our southern border? 3) So if we don’t put a wall on the border at the Refuge, how will we keep people from crossing through it illegally? First of all, there is actually already a Border Patrol station at the Refuge. And it’s been extremely effective at catching illegal immigration and drug trafficking. Secondly, we’ll never stop those who are determined and desperate from illegally crossing. Especially when our government mostly looks the other way when employers hire them without proper documentation. Of course, that doesn’t mean we shouldn’t come up with a plan to stop as many as possible. But we also shouldn’t assume that because “Build a Wall” is an easy election-time catch-phrase it’s an easy — or realistic — fix to a complex problem. It’s not. Instead, it’s an expensive and problematic solution at best. Walls can be hopped over and dug under if one is determined or desperate enough. You can find handmade ladders piled up at certain Border Patrol stations. And, at the Old Hidalgo Pump House, one of Texas’s nine World Birding Centers, they use the wood from dozens of ladders left behind by those who hop the wall on its property. With the wood the Center builds bird feeders, feeding stations, benches, and other infrastructure. Tunnels are another way the wall is defeated. Hundreds have been discovered going under portions of the wall already built. Check out this extensive tunnel system featured in this Fox News article. Maintenance on the 649 miles of fencing/wall we already have cost the U.S. taxpayer $274 million last year. Maintenance on a fence that went the whole length of our southern border will cost about $1 billion PER YEAR. At 2017 rates, every additional mile of fencing we build is estimated to cost $16 million. There are still about 1,300 miles of border without a fence. Do the math. Why not spend the money it would cost to construct and maintain more walling to install modern technology? Drones, cameras and sensors that will detect people crossing but not impact wildlife or those law-abiding U.S. citizens who live nearby so dramatically? Many of the spots that already have a wall are augmented by sensors and cameras because the wall doesn’t stop the flow. Consider this: after what most of these folks go through just to get to our southern border, a wall presents a minor obstacle. Contrary to the banter about Mexicans and the wall, at least half of those who cross illegally trek up from Central America. If they don’t succeed the first time, after all they went through just to get to the border, they’re not just going to shrug their shoulders, say “Oh well,” and hop a bus back home. They’re going to try it again — and again, and again — until they make it. 4) Isn’t our safety as U.S. citizens more important than wild animals? In the scheme of things, building more walls does little to secure our safety, especially building three miles of wall through Santa Ana NWR. The 9/11 terrorists were in our nation legally. So, too, were the Boston Marathon bombers. And the couple in San Bernardino. Timothy McVeigh and legions of mass shooters have been native-born U.S. citizens. 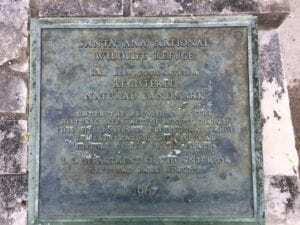 They weren’t immigrants – illegal or otherwise! Literally, tons of drugs come in through legal ports of entry. In fact, most do. The money and volume is too great to fool with trying to swim across the river. Just as is the case with jobs and immigrants, as long as the demand for drugs is profitable the drugs will come. For those who live along the Rio Grande River and near the Gulf of Mexico, a wall could actually present safety issues in the case of hurricanes and accompanying flooding, which occur in the region regularly. Already, unintended consequences have been felt by area residents. 5) We have lots of National Wildlife Refuges in the United States so what does it matter if we put a fence through just this one? This isn’t just any wildlife refuge -— Santa Ana NWR lies in the heart of one of our nation’s most biologically diverse places. We’ve already whittled the natural habitat of the Lower Rio Grande Valley to nearly nothing. Is it too much to ask that these 2,088 acres remain unmolested? Adding a border wall isn’t just a matter of building a barbed wire fence across ranchland. We’re talking about clearing an area at least 300-feet wide and three miles long. That and the associated infrastructure will destroy a large percentage of the refuge. The physical barrier presented by the wall will be an inconvenience for people, but for wildlife it acts as a cage. Wildlife trapped between the wall and the Rio Grande River would have nowhere to go, no way to leave, and too little habitat upon which to thrive. 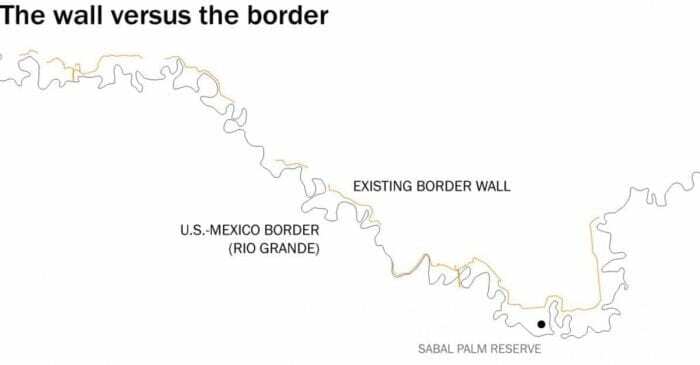 The wall will prevent animals from migrating, finding mates that aren’t genetically related, and dispersing into new territory. It will prevent wildlife on one side from having access to water, and will subject wildlife on the other side to drowning in case of floods. And there will be floods; after all, this is a flood plain, which is part of what makes this land so biologically diverse. 6) Putting a fence through Santa Ana NWR doesn’t close the refuge to the public, so what’s the problem? Actually, it certainly could close it to the public. In theory, it might be open, but if visitors can’t access it — or the bulk of it — then it’s effectively closed. Here’s an example: the Old Hidalgo Pump House, one of Texas’s nine World Birding Centers. In 2009, a portion of the border was constructed that essentially trapped 900 prime acres — and a trail known to be a premier spot for spotting Pygmy Owls, Tropical Kingfishers, and Groove-billed Anis — in a “no man’s land” on the southern side. During construction, officials promised that the wall would not affect the public’s right to visit. That the gate to those 900 acres would remain open during visiting hours. That was 8 years ago. The gate has yet to be opened for the public. Another example is Audubon’s Sabal Palm Sanctuary. In 2009, the sanctuary ended up behind the wall and the U.S. government forced them to close. Thanks to a partnership with the Gorgas Science Foundation, the folks at Audubon were able to open it back up — two years and plenty of legal bills later. But, given the formidable gate through the border wall that visitors must pass through to get into the Sanctuary, many people are uneasy about being on the “wrong” side of the wall. A wall and a 300-foot swath of cleared land would certainly detract from the visitor experience at Santa Ana NWR, even if public access is retained. The way it looks now, only a small area next to a busy road, the parking lot, and the visitor’s center will be the part on the north side of the wall.